Had been graduated from Hebei University of Chinese Medicine(Now a school in Hebei Medical University) in 1991, Dr. Guo Gang now serves as Chief of rheumatology in Hebei Yilin Hospital. 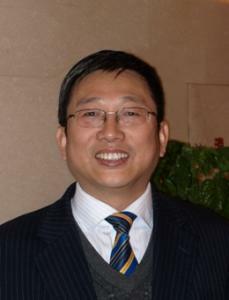 He is the youth member of Rheumatological committee of Chinese Interactive Medicine Association (CIMA), standing committee member of Chinese Integrative Medicine Alliance against Rheumatism and vice chairman of rheumatoid and bone diseases committee of Hebei Society of Traditional Chinese Medicine. Besides, he also holds the post of peer reviewer of scientific and technological achievements in Hebei Science and Technology Department and is awarded outstanding youth doctor of traditional Chinese medicine.